How would you make sure Kids’ Safety with School Bus Tracking? School bus accidents and child abduction reports are now on the rise, one way that might help to avoid incidents such as these in the future is with school bus tracking. To counter adverse incidents, school bus tracking is now being set as mandatory by many Govt. bodies. Recently Motor Vehicle Dept., in one of the southern states of India, Kerala, made GPS vehicle tracking mandatory for school buses plying in the state. Using a GPS tracker in a school bus offers a lot of benefits for the school system and parents of the children who ride the bus. With school bus tracking, both the parents and the school administration can see where the bus is at any given moment, track trip progress and get an estimate on when the bus will arrive at a bus stop. Such information can help with student safety from monitoring the speed of the school bus to tracking when and where a student gets on and off the bus. 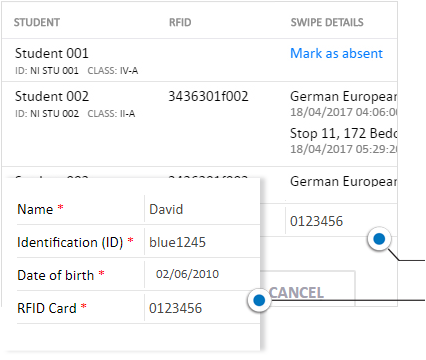 Student RFID who swipes while boarding or exiting the bus ensure his/her attendance with location updates real-time, guaranteeing peace of mind for parents and school authorities. Besides, it helps school system make most of route and fuel efficiency. School transport managers can optimize school bus schedules, and routes with pick-up/drop off points, track school bus location, and quickly act when notified (via instant alerts) on harsh driving such as speeding, accelerations, braking, etc., and accidents. Track, get notified, and take attendance while transporting kids from Home => to School => back Home. monitoring your vehicles every inch of the way. Know when they stop, where, and for how long. 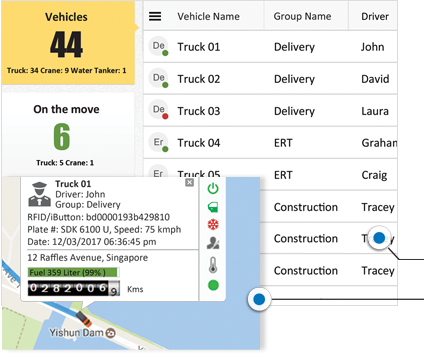 With history playback, know where all your vehicles been to, stoppages made, route & time taken, violations made, etc. 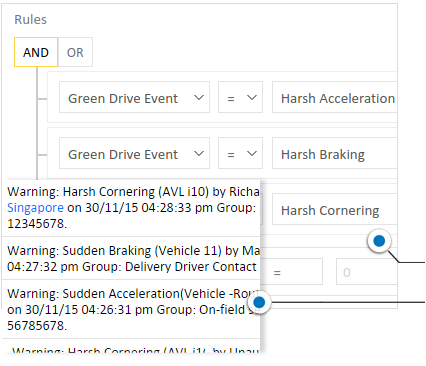 Create route-fences from historical data and optimize vehicle routes. 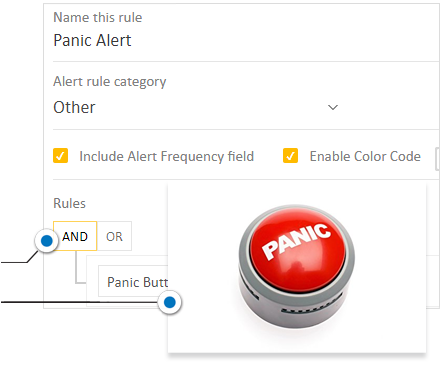 You need to get alerted on events as it happen, so you can take actions real-time whether it’s an accident, a schedule violation or harsh driving. As parents, you receive Immediate notifications on school bus trip progress and kids’ RFID swipes. You apparently get to know when bus leaves the school, about to reach for pick-up and drop-off and with RFID swipes, you even get notified when your child boards/leaves school bus at a stop. Get informed on the go, wherever you’re, with alerts on iOS & Android apps too. iOS, Android versions of AVLView are available for download on Apple Store/Google Play Store. 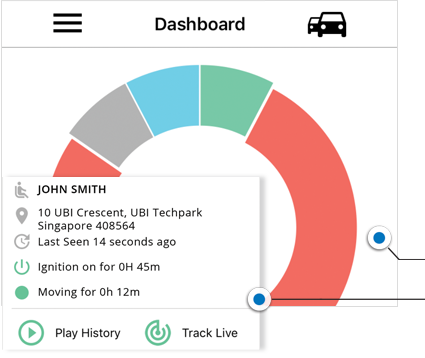 Monitor your vehicles on the go, and regain control over your vehicles and drivers. 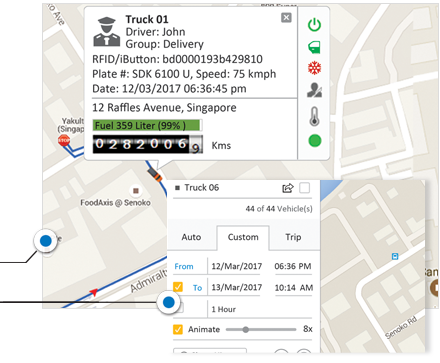 All users with valid login credentials (sub-users) can monitor the vehicles via mobile app, but with visibility limited to the assigned vehicle groups. 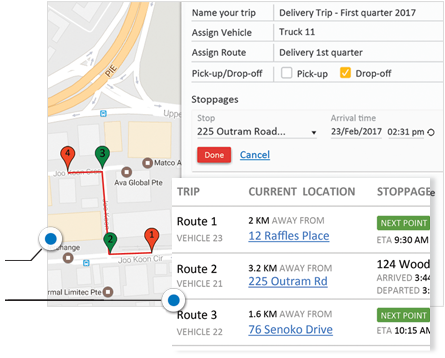 Pre-plan trips and make sure shipments are delivered on timeCreate pre-planned trips for your vehicles including all waypoints en-route & the time schedules that they have to follow; organize delivery trips in advance. As soon as a student swipes RFID card, you can view it real time on student time sheet report. This helps you identify students’ status on pick up/drop off trips with continuous location updates. 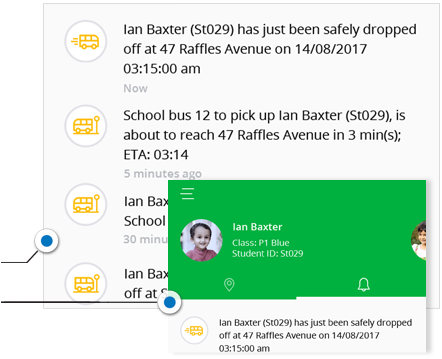 And most importantly, system identifies if a student fails to get on the bus and let you know, so you could mark him/her absent stopping further notifications which are no longer relevant. Real time reporting helps you act quickly to improve student safety. Passengers and drivers could make use of panic button/SOS buzzer fitted in an easily approachable location (Vehicle dashboard, Luggage rail etc.) to notify office/control centers immediately on mishaps, accidents and other emergency circumstances. Once pressed, emergency/panic button initiates an alarm to the app users, helps them kick off recovery and emergency processes without delays.